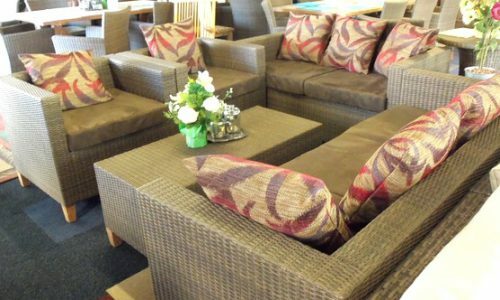 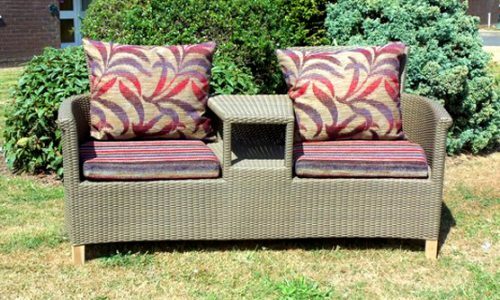 The teak companion/Love seat is the perfect seating for those long summer evenings. 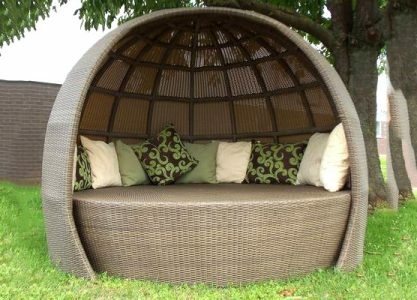 Lovingly made out of hard wearing teak. 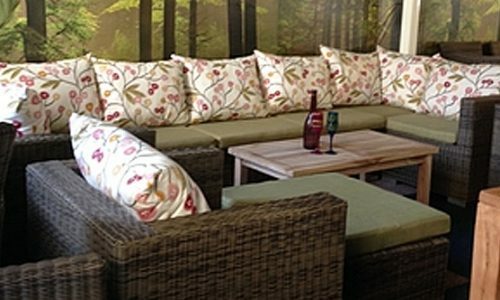 Designed for tranquility, the smooth curves and modern design of the pod will be the feature for traditional and modern gardens alike. 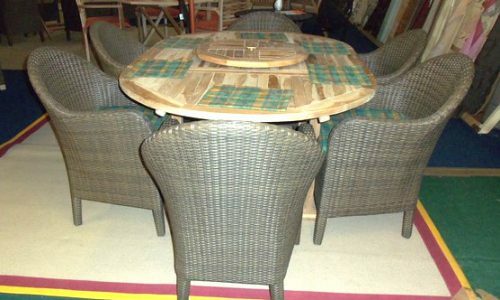 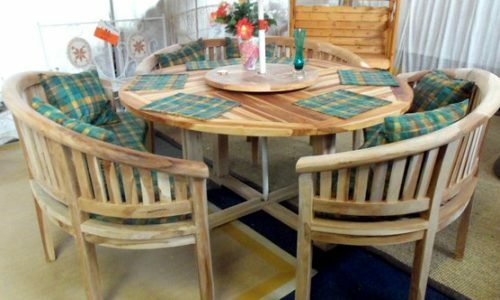 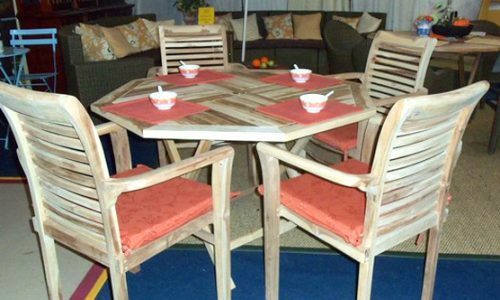 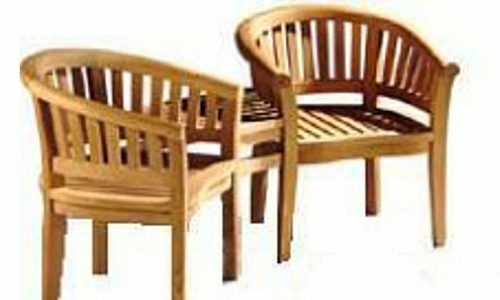 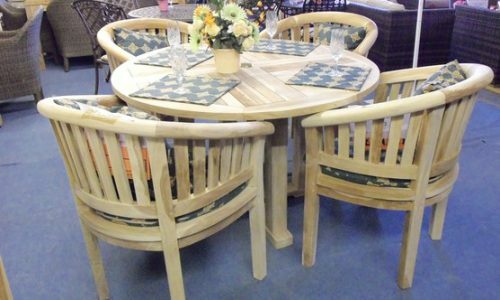 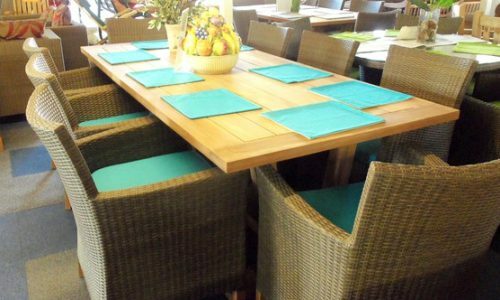 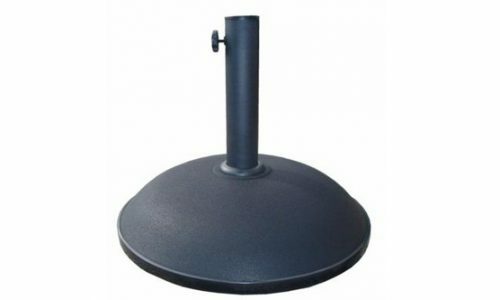 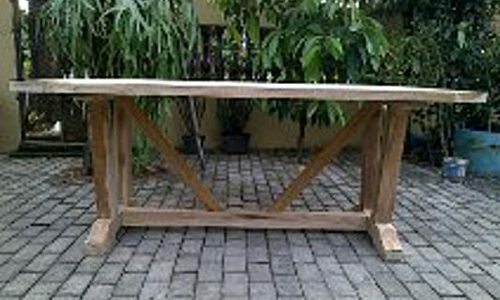 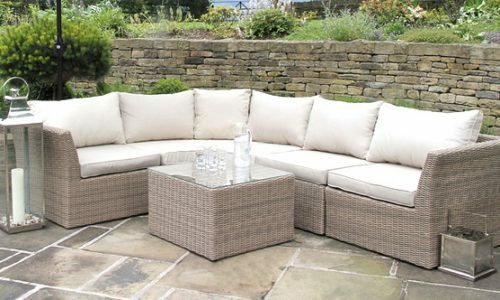 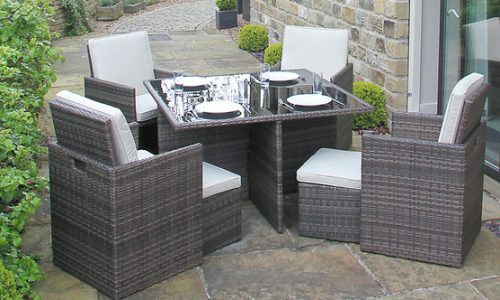 A Teak octagonal table and stacking chairs – the perfect garden furniture for transforming gardens with limited space.